JIG would like to thank all participants and presenters that attended the Members’ Technical Forum in London over the past 3 days. The MTF’s packed agenda covered an extensive range of topics, prompting some very interesting discussions amongst JIG’s members. 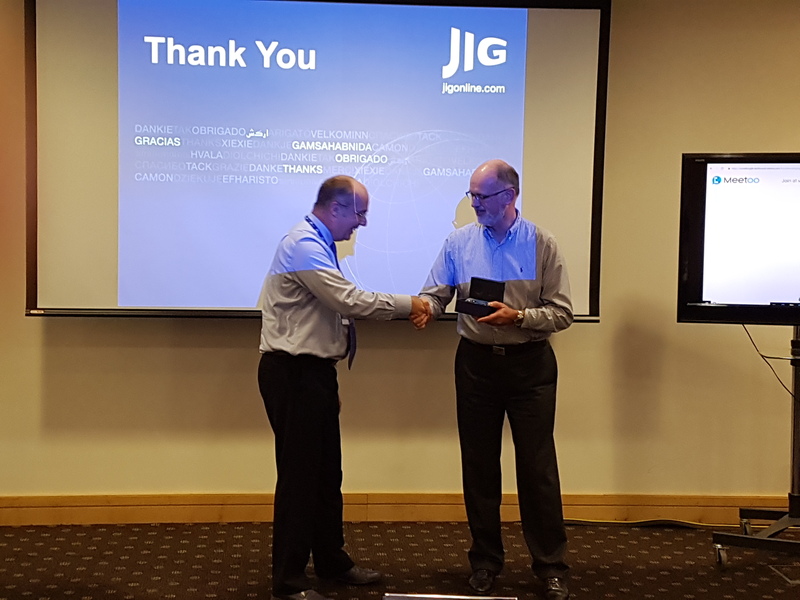 Special thanks was given to Nic Mason, KPIAC, for his support to JIG over the past 10 years, with the last 5 years as Operations Committee Chair. 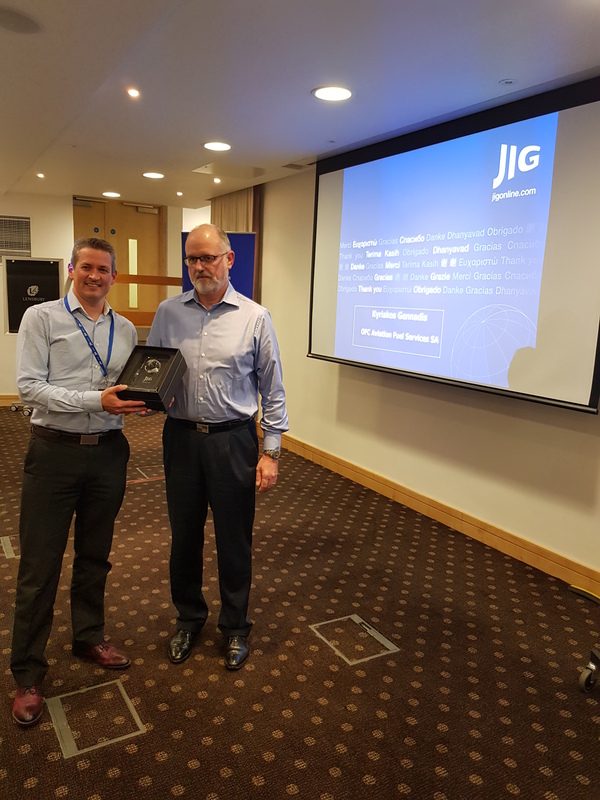 JIG also awarded Ivan Harling from Philipps 66 Ltd for its 10-year long membership to-date.